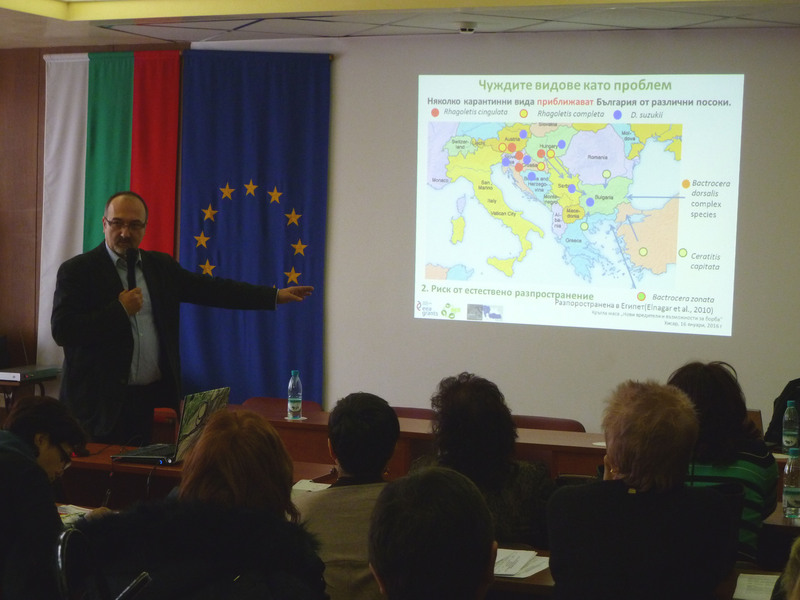 Prof. Dr. Rumen Tomov participated in a round-table entitled ‘New pests and possibilities for control’ held on 16th January 2016 in Hisarya, Bulgaria. It was organised within the Plant Protection Conference 2016 and celebration of the 120th Anniversary of the Plant Protection Activities in Bulgaria and 20th Anniversary of the Bulgarian Association for Plant Protection (15-16 January 2016). Prof. Tomov talked about ‘Contribution of projects ESENIAS-TOOLS and IBBIS to the prevention of introduction of alien plant pests in Bulgaria’.